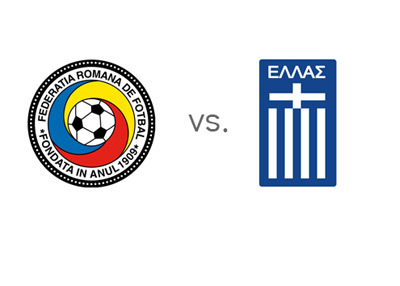 After a 3-1 win in Pireaus, Greece travel to Bucharest to face Romania in the second leg of the FIFA World Cup qualifications play-off on Tuesday, November 19th, 2013. Greece, who have won seven out of their last seven qualification matches, while conceding only one goal in the process, are in a comfortable position with a two goal lead from the first leg match. Georgios Samaras and his teammates are in control and will defend heavily on Tuesday. Romania are faced with a challenge of having to score at least twice against an opponent famous for their tight defensive line. The hosts will have to open up and really go for it, while in the same time making themselves vulnerable to counterattack. The odds are in favour of Romania winning the game on their home turf and Greece winning on aggregate and qualifying for the World Cup. A 100 € wager on Romania to win on Tuesday could return 110 € in profit, while the same bet on Romania to qualify for Brazil could return 450 € in profit. A 100 € bet on Greece to win on Tuesday could return 275 € in profit, while the same bet on Greece to qualify could return 16 € in profit. The Getafe striker, Ciprian Marica, and the Hoverla Uzhhorod forward, Marius Niculae, are the favourites to score for the hosts at 21/10 each. Konstantinos Mitroglou, who scored twice on Friday, is the favourite to score for Greece at 5/2. Do Romania have a chance going into this match?